Home Ask Chris What Happened to DTLA’s Old Traffic Tunnels? You can see traffic tunnels in old photos of DTLA. What happened to them? 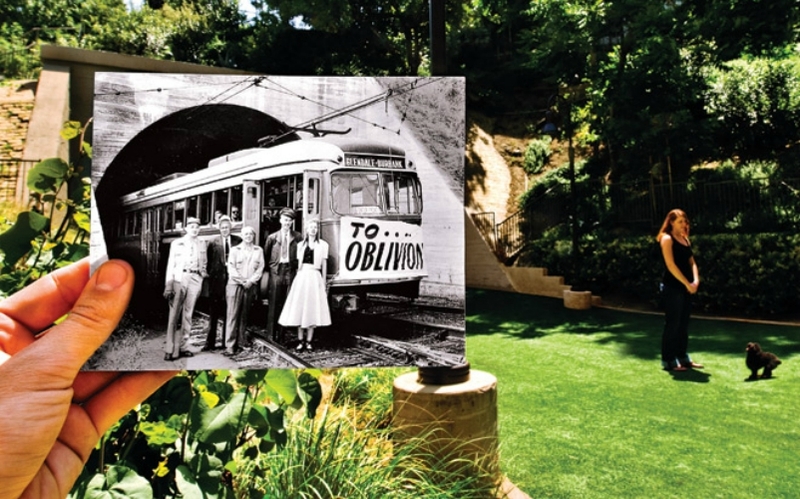 A streetcar ran beneath elevated portions of Hill, 1st, and Broadway early in the 20th century, but the city started to flatten the hills and remove the tunnels in 1948. You can find the sealed entrance to one tunnel behind the Belmont Station apartments in Westlake. RELATED: When Did L.A. Have a Red City Hall?